Pools, swimming pools and whirlpools by SSF. 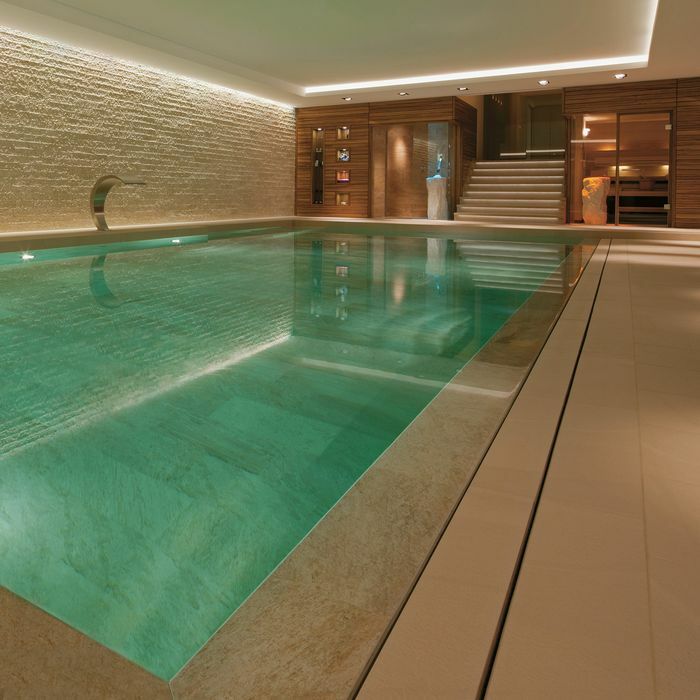 If you’ve always dreamed of installing your very own swimming pool, look no further! Together with our subsidiary SSF, we’ll take care of everything. So that you don’t have to worry about a thing. 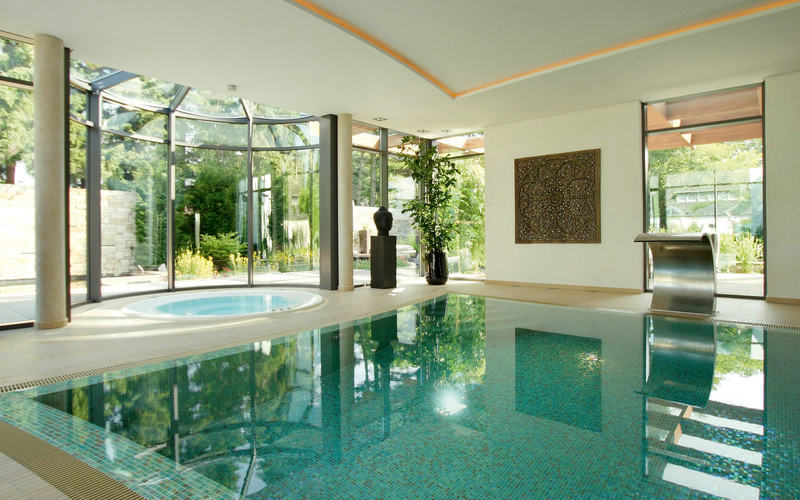 No matter whether you want a swimming pool of your own in your garden, a whirlpool, or a swimming pool inside your house – we offer everything from a single source. From the first drafts and plans through to construction and installation through to maintenance and servicing. We didn’t invent pools. But we reinvent them every day. Because no two customers are the same, and no two pool areas are the same. Which is why we tailor our pools to their surroundings, making sure they also reflect the style and wishes of the customer. The results are impressive – as reflected in the numerous international design awards we’ve won. Making swimming so much more fun. What could be nicer than a hot summer’s day? A hot summer’s day with a pool. Where else can you swim, splash or sunbathe so freely? 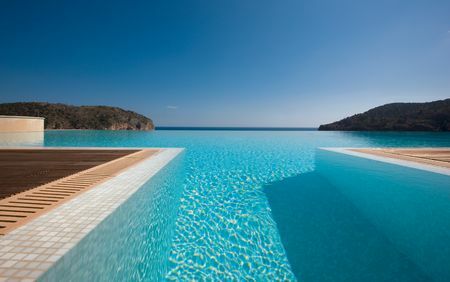 Our team of architects and planners will be delighted to design your outdoor pool – taking all your wishes and requirements into consideration. And because the sun doesn’t always shine in summer, we also offer a wide range of roofs to transform your outdoor pool into an indoor pool. So that even if the heavens suddenly open, you can still enjoy your pool. A sauna is good for your physical and mental well-being. And so is a reliable partner. That’s why we rely completely on the experience and quality of our parent company KLAFS when it comes to fitting out your spa. For years, KLAFS has been the global market leader in the field of saunas and spas, setting new standards with countless innovative ideas. A fact to which hotels, spas and private households the whole world over can testify. 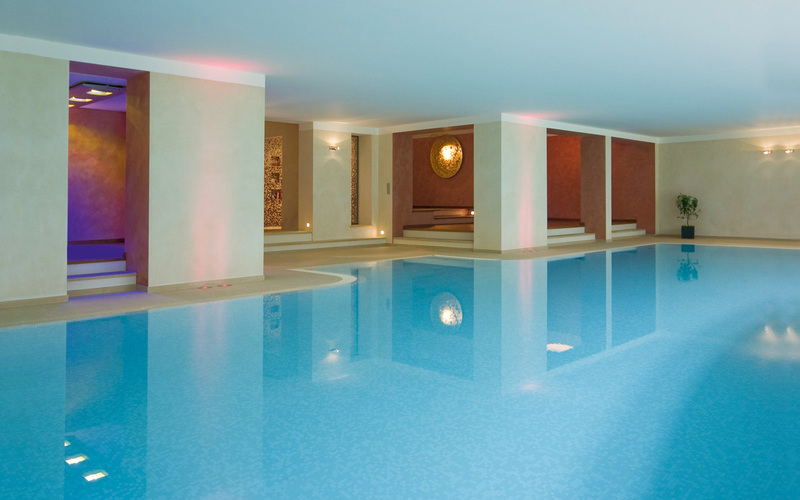 We offer advice, plan and build your indoor or outdoor swimming pool. Various pool and whirlpool systems depending on customer wishes and requirements. Bespoke and extremely user-friendly filtration systems. Exciting water features and counter-current systems. Efficient air-conditioning and dehumidification systems with optimum energy consumption and waste heat recovery. 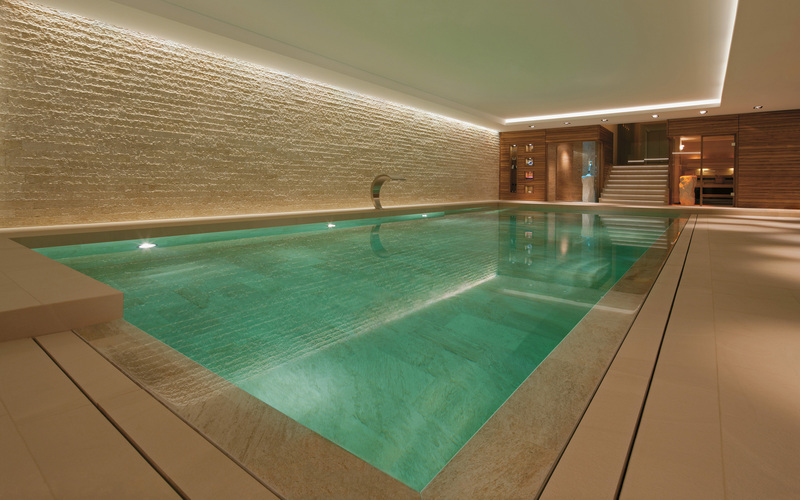 Exclusive saunas, steam baths, heated loungers, luxury showers, exercise equipment. Delivery and assembly of various swimming pool covers and roofs. Project-based interior design of swimming pool areas, taking into account the existing structural engineering and architecture. Modernisation and conversion of existing swimming pools. Customer service, maintenance and repair. 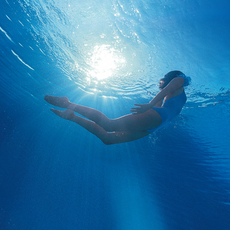 Immerse yourself in the SSF world of water. 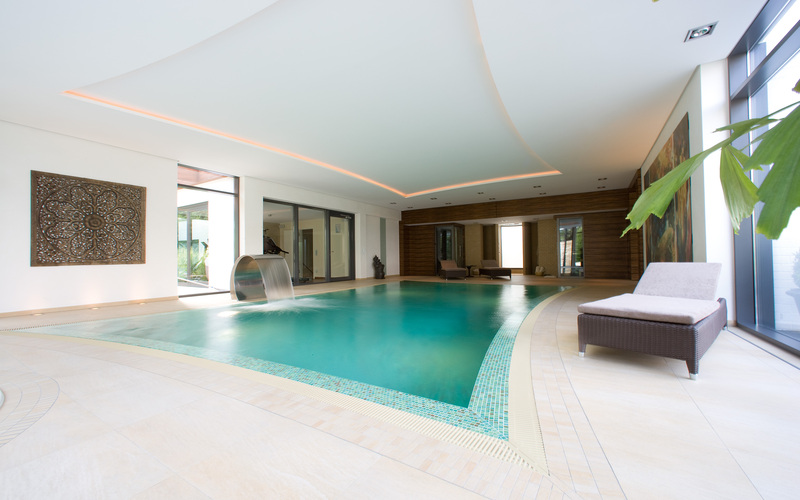 Our definition of pure indulgence: professional advice and support on modern swimming pool technology, renovation and conversion work. Find out more on our website, or request for information to be sent to you by post. 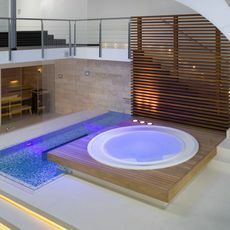 Swimming pools and whirlpools in your spa area. 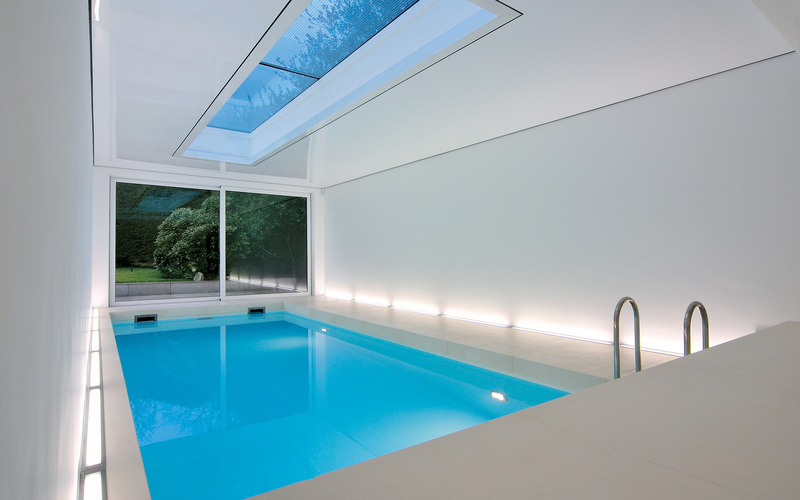 If you’ve always dreamed of installing your very own swimming pool, look no further! Together with our subsidiary SSF, we’ll take care of everything. So that you don’t have to worry about a thing. No matter whether you want your own private lido, a whirlpool, or a swimming pool inside your house – we offer everything from a single source. From the first drafts and plans through to construction and installation through to maintenance and servicing. Naturally, with professional advice and support on modern swimming pool technology, renovation and conversion work included. That’s what we mean by pure indulgence. As well as large pools, KLAFS also offers various models which are suitable for smaller home spas. The SANOSPA massage tub, for example, or treatment beds or loungers.